I’m not sure what possessed me to decide baking on a 100+ degree day was a good idea, but because cherries are nearing the end of their season here in Oregon, this was my choice for dessert today. I began by doing all the prep work yesterday (OK, yesterday was the 100 degree day, today merely upper 90’s). I followed Dorie’s suggestion of using a chopstick to push the cherry pits through to remove them. It worked fairly well (had the cherries been softer, it would have been the ideal technique), although messy. (My nails and cuticles have dark-cherry red stains that will be remedied by a shower later this morning.) However, never having pitted cherries before, perhaps messy is just what happens! 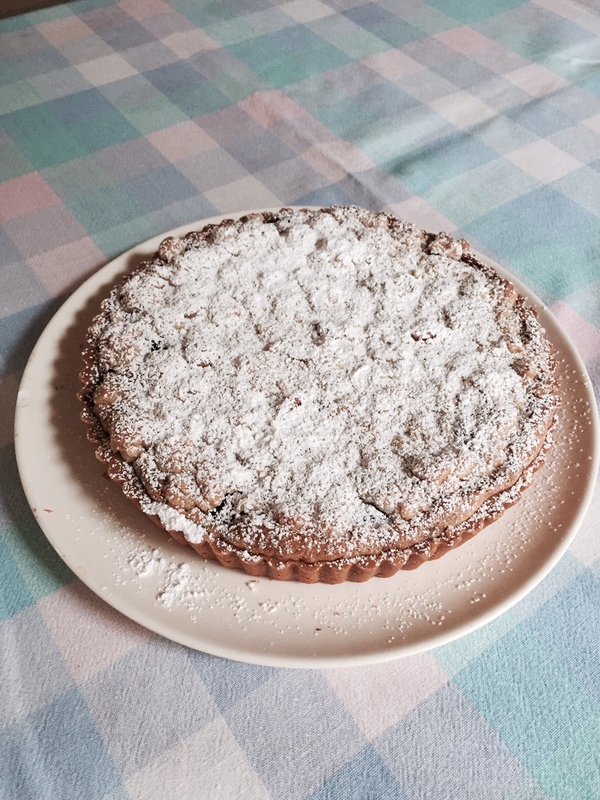 I used both vanilla extract and almond extract in my streusel – l love cherries and almonds together! – thus breaking my own rule for following the recipe exactly the first time through. Oh, well!?! 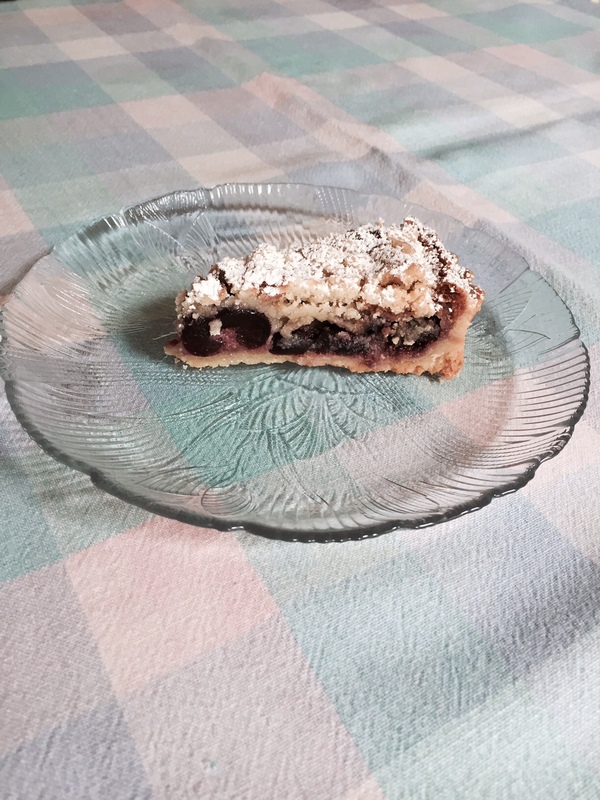 The actual tart went together surprisingly easily – and I love the directions of “45-minutes or until the filling is golden….bake it another 30 – 35 minutes or until the streusel is the color you like – you can’t over bake the filling. Dorie is a genius! The hardest part has been waiting for it to cool enough to cut into.